Who says we can’t play with our food? There’s nothing wrong with serving a little bit of humor at the dining table. 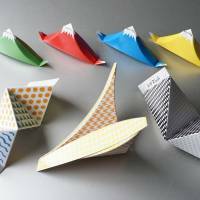 Celebrating two quintessentially Japanese cultural customs, Orinigiri — a portmanteau of “origami” and “onigiri” (rice ball) — is the brainchild of Tomoo Nitta and Aiko Sugiura of Himawari Design, decorated with colorful graphics by Toshikazu Nishida. 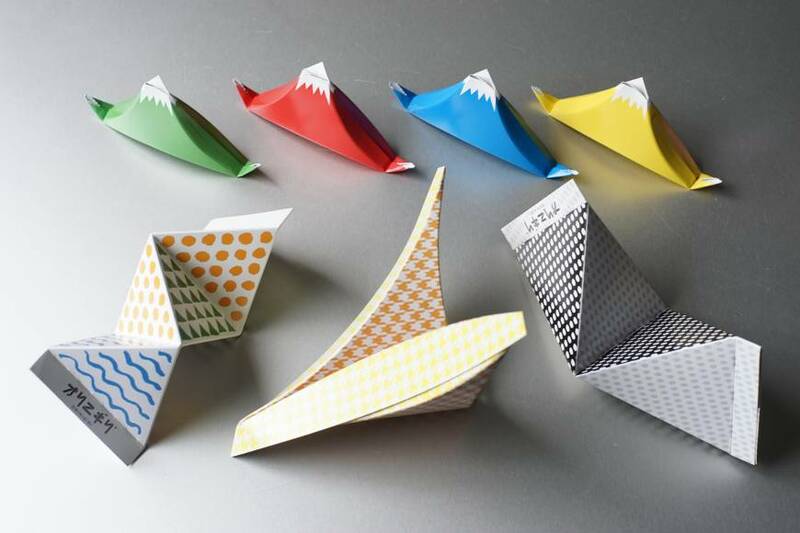 These charming origami-like cardboard sheets are scored to fold over balls of rice to shape them into tetrahedrons. 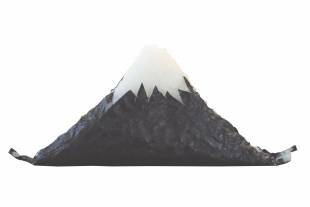 There are four designs: a double pyramid that links two rice balls together to share; a triple pyramid; one shaped like Mount Fuji; and another that looks like a flying bird. To use Orinigiri, first pre-fold along the score lines, then line it with plastic wrap and lay on a sheet of nori seaweed. Then simply spread a layer of warm rice, add a little filling and re-fold the whole thing. They make neat packages for packed lunches, and depending on how you arrange your ingredients, they can open up to a pleasant surprise. A pack of Orinigiri comprises four Mount Fujis, one of each of the other designs and an instruction leaflet in Japanese and English. At the moment, they’re only available at www.makuake.com/project/orinigiri, priced at ¥1,000, but keep an eye on the Orinigiri website for an upcoming general release. Atsuhiro Hayashi’s Jam Tori (Jam Bird), created for H-Concept’s +d brand, is an idea that the product designer came up with when he realized that balancing a used spoon on the top of a jam jar to stop it getting the table sticky isn’t useful when it keeps falling off. His Jam Tori perches on the edge of a jar lid but has been perfectly balanced so that if it gets knocked, it just gently swings. It took the testing of more than 100 prototypes to get it stable enough to sit and sway on both tall and short jars. 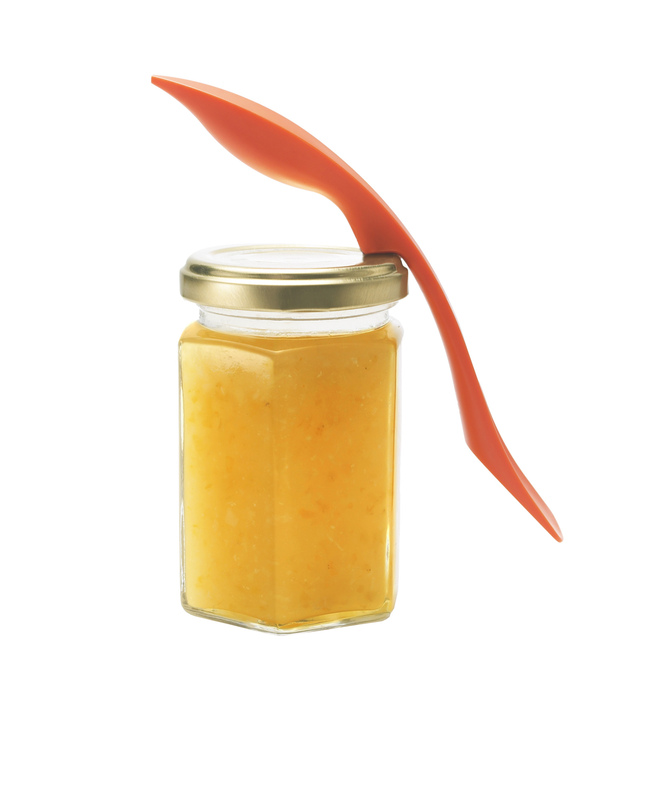 The sleek silhouette of the bird is also not merely attractive: the tail provides a flattened spoon that spreads jam evenly and the body makes for a smooth handle. Also available from H-Concept is the Nulu, a stainless steel solid-butter knife made in collaboration with Niigata’s Keno area, which is known in Japan for its metalworking craftsmanship. 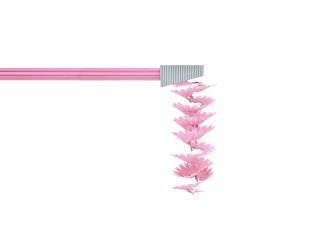 Designed by H-Concept’s Aya Sunaguchi for Yoshikawa Co.’s EA to Co brand (bit.ly/eat-to-co-nulu), this handy little implement has a perforated edge that shreds off thin easy-to-melt curls of butter from a refrigerated slab. 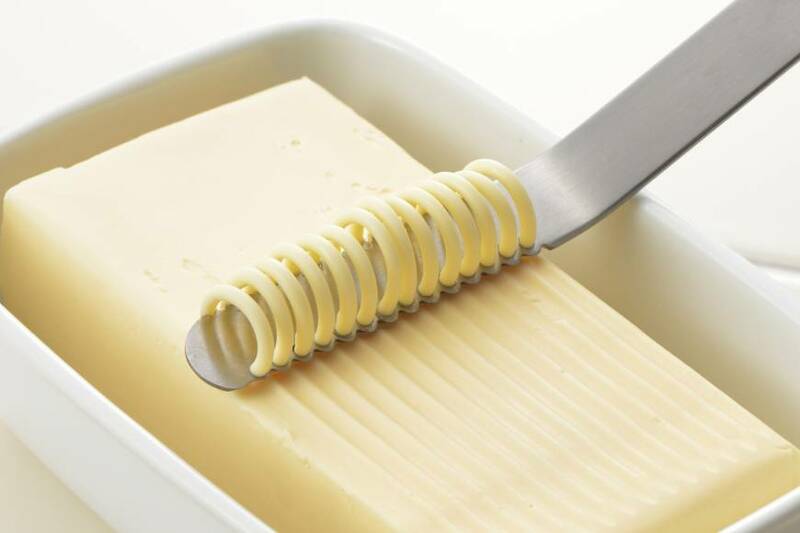 The handle is angled, so that running it flat across the slab isn’t awkward, while the other edge of the blade is gently serrated so that it can also be used for spreading, or for scraping off charred parts of burned toast. Both the Jam Tori (¥702) and Nulu (¥1,080) are available from H-Concept and Koncent online stores. World Breakfast Allday in Tokyo’s Gaienmae district often has a line of diners waiting to try the restaurant’s breakfasts, whose country of origin changes on a regular basis. 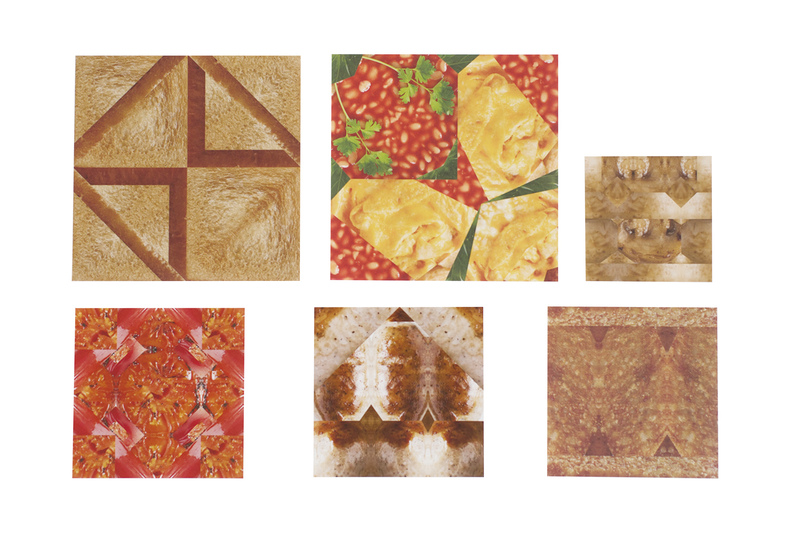 Those breakfasts are now the inspiration for a series of origami sets, a collaboration with paper-product designers Cochae for Sony Music Entertainment’s Kidstone brand. 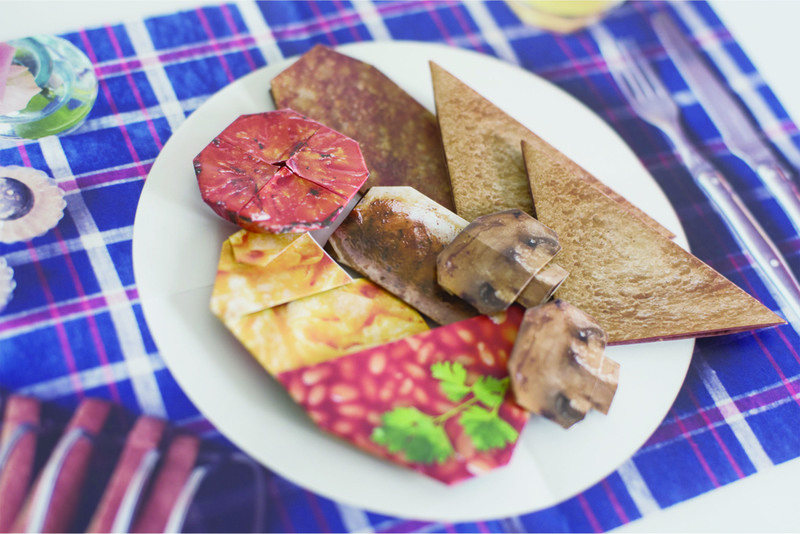 It’s a creative way to introduce children to cultural differences, with the first Oishii Origami kit being the English Breakfast, consisting of colorful printed papers and instructions to make two pieces of toast, baked-bean-covered scrambled eggs, a sausage and a hash brown, all topped with half a tomato and two slices of mushroom. Each set costs ¥540, and includes a photo of the original English Breakfast, with others being announced later on the website. 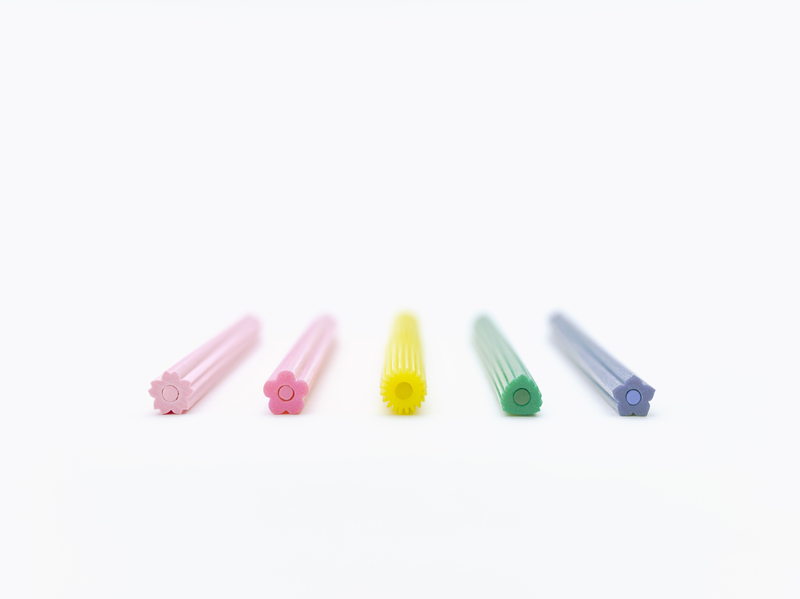 Toshihiro Otomo’s Flower Colored Pencil sets, which are based on plants that Japanese often associate with colors, include four flowers that are not only popular motifs in Japan but are also used as edible garnishes: cherry and plum blossoms, dandelions and bellflowers. OK, it’s a tenuous link, but 2016 was a tough year so we need flowers. Each pencil is colored throughout and sculpted into the shape of its namesake (the fifth plant in the set is an evergreen leaf), so that when it is sharpened, delicate petal-like shavings tumble off. 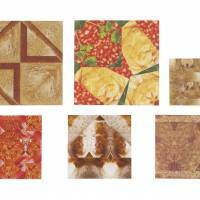 Made from recycled paper pulp, they are environmentally friendly and come beautifully packaged in a pentagonal box. These were originally sold as a Trinus kickstarter-like project, but proved such a success, that there are plans to sell them in stores from March for the tentative price of ¥1,944 a set. Check the website for more information.